a. Start at Camps Drift and paddle upstream to turn buoy. 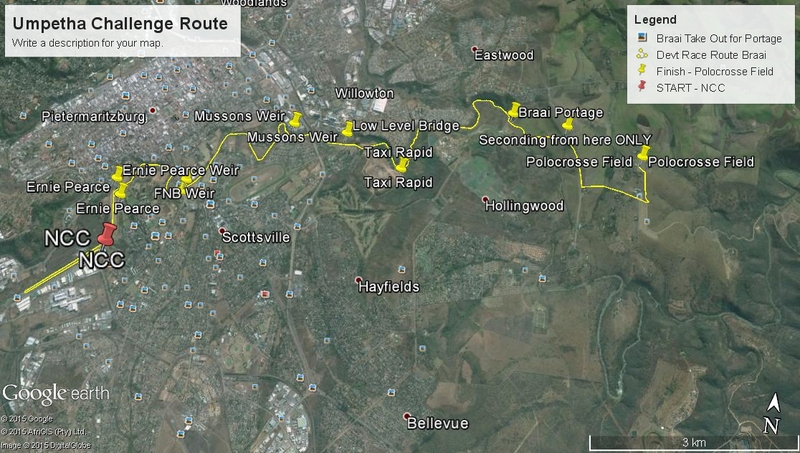 b. Paddle back past start downriver to Ernie Pearce Weir, and then follow normal Dusi route along Umsunduzi River to BRAAI TAKE OUT. c. BRAAI TAKE OUT IS COMPULSORY FOR ALL PADDLERS!!! We will not use the Pine Tree portage for this event. d. Follow Portage Marshalls directions on the Campbell’s Farm Portage, turning Right at the top of the first hill to join the Pine Tree Portage. 2. 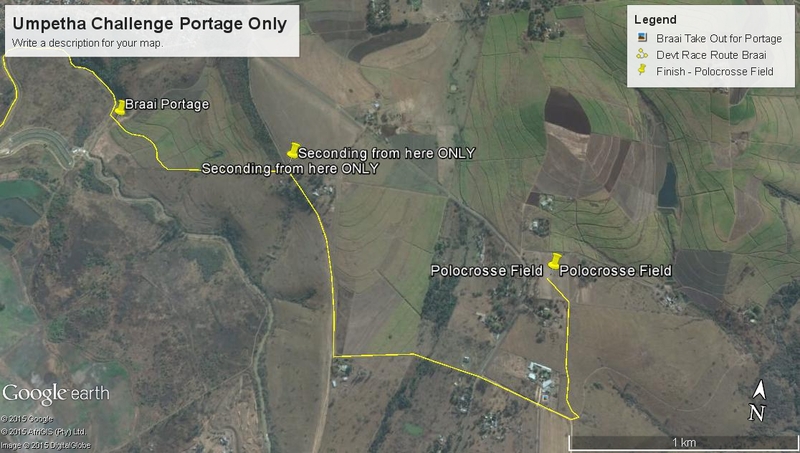 Compulsory paddling – from the Start to the Braai takeout is compulsory paddling, save that competitors may portage weirs or rapids at their discretion. b. Pine Tree Takeout – may not take out at Pinetree takeout or any other takeout except Braai Takeout for Campbell’s Portage. 4. SECONDING AT CAMPBELLS PORTAGE – paddlers may only be seconded from top of First Campbell’s Portage Hill to finish. NO Seconds or spectators may go down to the river takeout at the Braai. 5. Spectators may watch/provide assistance as usual at Ernie Pearce, Witness Weir, Mussons and Low Level Bridge.